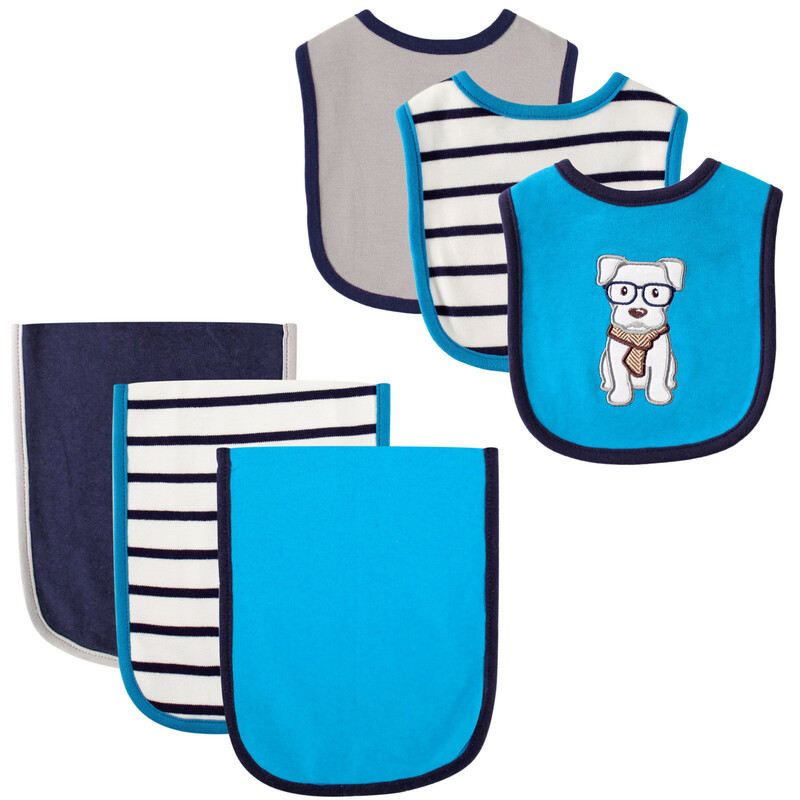 Hudson Baby 6-piece bib and burp cloth set offers attractive, applique with coordinating print and solid on a super-soft and absorbent cotton-rich terry fabric. 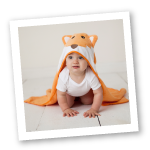 The bib protects baby's clothing from drool and mess, and the coordinating burp cloth will protect parent's clothing while burping your newborn. 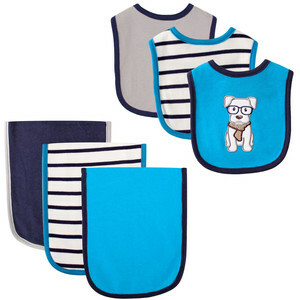 Easy closure 3 bibs and 3 burp cloths set.